Natural blue light regulates your sleep and wake cycles.It also boosts alertness,elevates your mood,and increases feelings of well-being. Artificial blue light,found in things like computers and flat screen televisions,LED lights and energy-efficient light bulbs,can be harmful to your eyes. The backlit displays on cell phones,e-readers,and laptop computers emit high amounts of very strong blue light waves.Too much blue light can take a toll on your health. Potential effects of blue light:overexposure to blue light could cause all kinds of problems,including dry eyes to digital eye strain,sleep cycle disruption,and even macular degeneration. Sleep cycle disruption:blue light is emitten by electronic screens, so checking your phone before bed tricks your brain into thinking it's time to wake up instead of time to sleep. Macular degeneration:studies have shown that exposure to blue light can damage light-sensitive cells in your eyes which can lead to macular degeneration-the most common cause of permanent vision loss. Nearly 70% of adults who use devices regularly and who experienced symptoms of digital eye strain did not do anything to ease their symptoms. 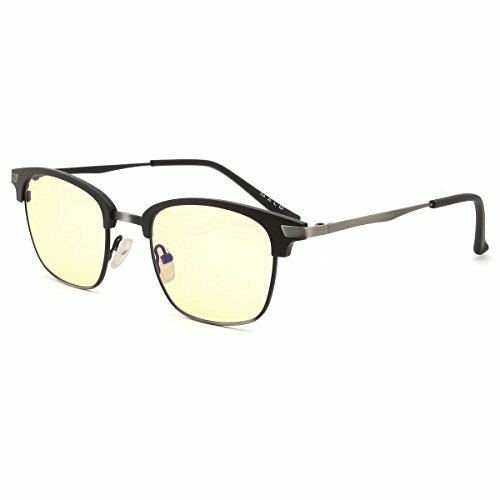 Are blue light blocking glasses the same thing as computer glasses? Malo glasses is a blue -light blocking lenses that is designed for all-day wear and protection from blue light. Whether you are a heavy computer user or not,malo glasses can be worn like regular glasses to protect your eyes from harmful blue light emitted from any digital device,as well as artificial fluorescent and LED light exposure. Malo glasses lenses are amber-tinted specialty computer glasses designed specifically for computer and gaming use. If you have any questions about this product by MALO, contact us by completing and submitting the form below. If you are looking for a specif part number, please include it with your message.